Have you avoided making ice cream at home because you don’t have an ice cream maker and you can’t justify buying another piece of kitchen equipment you’ll only use on occasion? If so, you’ll want to give this easy 2-ingredient method a try. 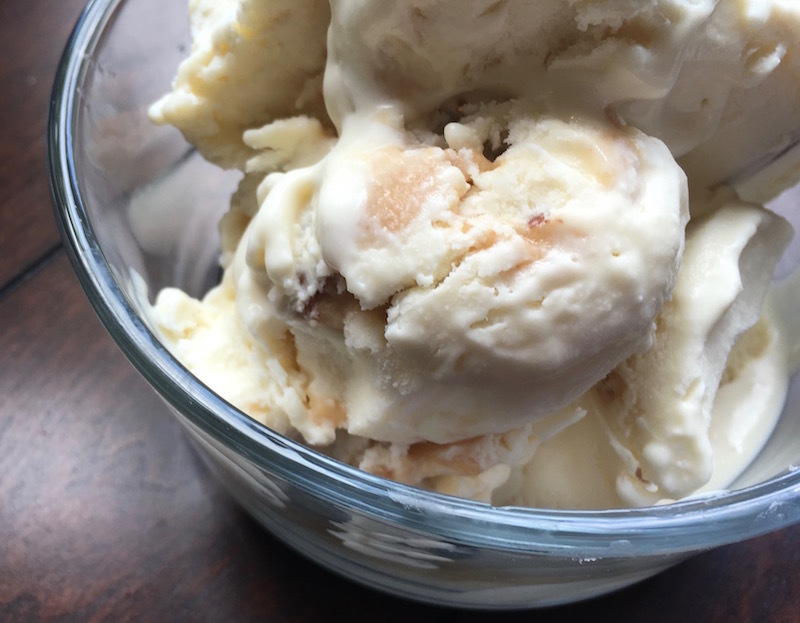 This recipe adds a delicious salted caramel sauce and some chopped pecans….